14.96" x 10.91" x 1.14" 7.04 lbs. Be part of the action no matter where you are, thanks to this portable, but powerful, gaming PC. 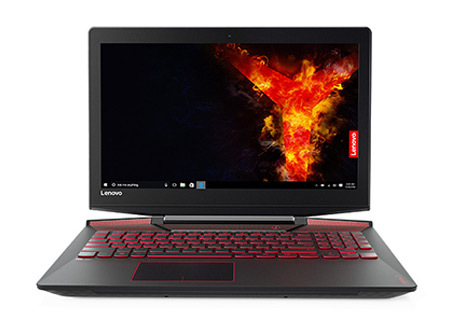 This 15.6” laptop features a stunning resolution with a vibrant IPS display, and immersive sound to match. 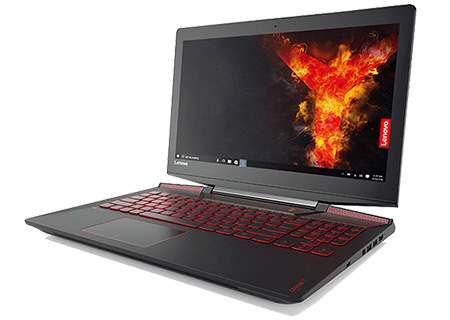 This beast can handle any game you want to play, even a VR experience, because it’s powered by 7th Gen Intel Core processors and processor NVIDIA GeForce GTX 1060 discrete graphics discrete graphics. Power + portability = perfection. Lay your claim and never give up an inch of your gaming arena with Y720's powerful 7th Gen Intel Core processors. 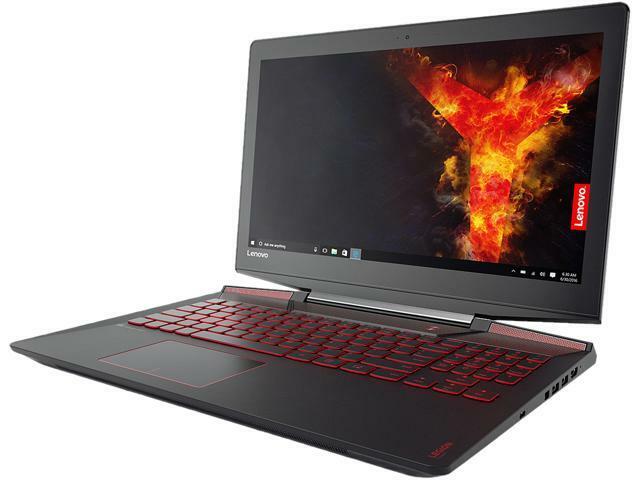 This laptop is your ideal rig, capable of meeting the most grueling of tasks head-on, from gaming to mobile graphic work such as video/3D rendering or graphic design. GeForce GTX 1060 graphics are powered by NVIDIA Pascal to deliver up to 3X the performance of previous generations. 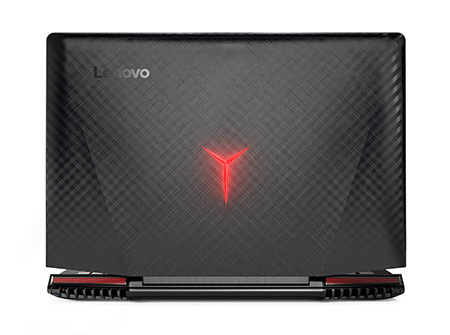 Ready to take on the most intense of games, the Y720 features NVIDIA GTX 1060 graphics so you can enjoy up to 60 frames per second. Lenovo Nerve Sense lets you get into the nitty gritty and customize your setup, so it’s perfect for you. 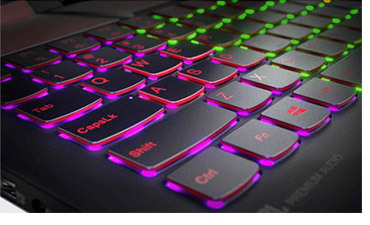 Adjust keyboard lighting for nighttime gaming, customize hotkeys for hair-trigger gaming precision, and streamline audio for the epitome of in-game immersion via Dolby Atmos technology. 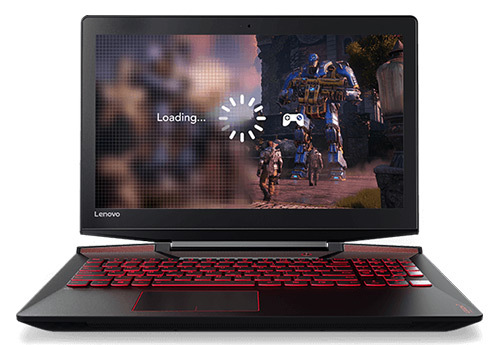 It’s your gaming laptop, so make it yours. Thunderbolt 3 delivers the best USB-C has to offer. The USB that does it all, Thunderbolt lets you transfer files faster and reduce the number of different ports you need. 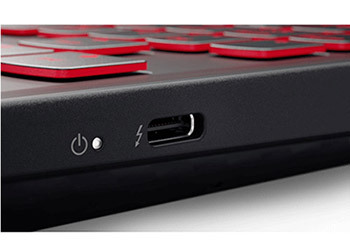 Easily transferring data at speeds of up to 40Gbps, this compact port is unrivaled in uses — from streaming 4K video, charging with single-cable docks, pushing your games to the maximum settings with external graphics, to networking with built-in 10 Gbe.Thunderbolt 3 delivers the best USB-C has to offer. 14.96" x 10.91" x 1.14"
This item is covered by BuyVPC.com Return Policy. + Has a Numpad, although it's laid out a bit differently, takes a week or so to get used to and it's nice to have. + SUPER fast 128GB M.2 NVME SSD, boot times are sub 5 seconds. 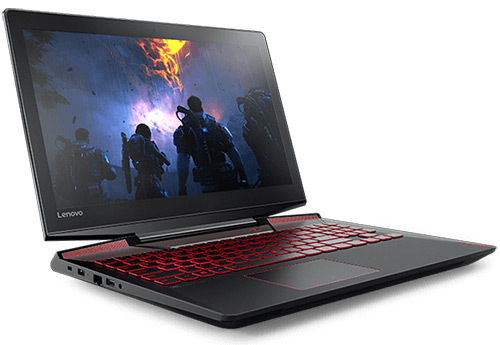 + Nvidia GTX 1060 6GB (turbos to 1873MHz under load) and Intel Core i7 7700HQ (turbos to 3.6GHz) means gaming at high to ultra on most games at 60fps. Gaming is no problem for this machine. Both stay comfortably under 85 degrees Celsius. CPU sits at around 75 degrees Celsius when playing GTAV, GPU at around 60. 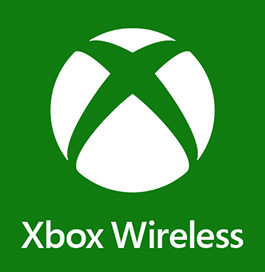 + Native wireless Xbox One controller connectivity support. + Stays comfortably cool, never throttles unless you're using it on your lap. Keyboard or touchpad don't get too warm. - The 1080p 60hz IPS display on my model has a moderate amount of backlight bleed around the corners, but mostly only noticeable when you're looking for it or when the screen is showing dark colors. - As someone who plays CS:GO on a 240hz monitor with no noticeable amount of input lag, there's a noticeably annoying amount of input lag, especially annoying when playing competitive multiplayer games. It's fine for single player games. 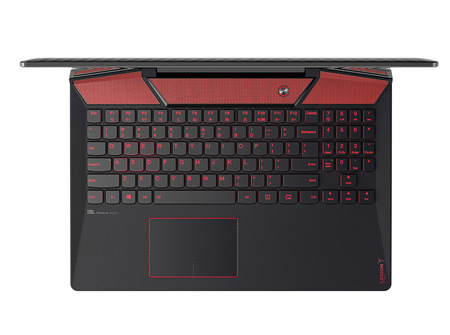 - There's a small but noticeable amount of coil whine/electrical noise coming from the laptop when under load, but not noticeable when the sound is turned up loud enough. I usually play games at around 12 to 20% volume as to not bother those around me, and it's barely noticeable. anything louder than that and you probably won't notice it. - When I press the spacebar too far from the center, when depressed requires a bit more force to register input after the depression. but not very noticeable unless you're a light touch typer. Although when it happens and you're trying to get that critical jump in, gets very annoying. perhaps it's just me pressing the spacebar wrong or my particular laptop has a flaw. - Built-in screen capture key on the keyboard located right next to right shift and right ctrl. Gets annoying when you press it by accident, although it can be disabled with a bit of windows trickery and possibly remapped to be a macro key. I've disabled mine and just use Nvidia Shadowplay, because Lenovo Capture doesn't do 1080p 60fps. 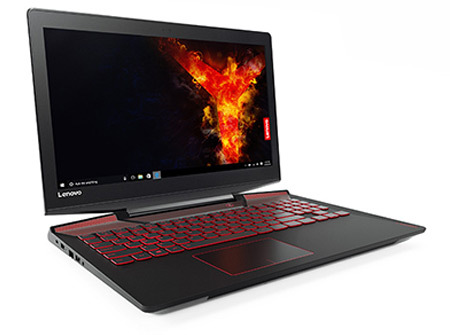 - Lenovo Nerve Sense has to be deleted and reinstalled from Lenovo's website because of a bug with the LED keyboard not saving lighting profiles. - There's a bug where waking up from sleep mode (especially from closing the lid and not from choosing sleep mode from the power options) will cause the display to have a bunch of white and black glitchy lines making it unusable until you restart or enter sleep mode and wake up again. I've fixed this by rolling back / downloading an older version of the Intel GPU Driver. although it's happened again since then, and I haven't been able to fix this a 2nd time. Other Thoughts: With a 1080p 15inch display, be prepared for bad windows display scaling and blury text or small text. This is a problem with Windows and high DPI displays and not handling display scaling well, not with the laptop itself. The display doesn't have G-sync, so V-sync is your friend, AND your enemy with adding additional input lag. 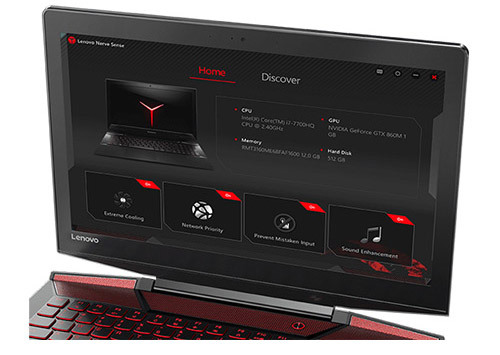 If you can find it on a good sale and don't care too much about the display, I'd recommend this laptop. Especially if you haven't experienced high refresh rate displays before, making the display on this laptop much more bearable. Otherwise, I'd prioritize a high refresh rate laptop. I regret that I didn't do that when choosing my laptop. I love pretty much everything about it, except the display, the software bugs I've mentioned, and Windows 10. (I'd prefer Windows 7, but there's trade-offs like Directx12.) If you're upgrading from Windows 7 or below, keep in mind there may be compatibility issues for older games. for a few older games (Need For Speed Underground 2, and Sonic Adventure 2 etc.) I've had to open Nvidia Control Panel and change the preferred GPU for the program to force the Nvidia GTX 1060, otherwise it tries to auto detect the Intel GPU and you get low performance. TLDR: stays cool, looks cool, durable, powerful, heavy, good speakers, good IO, good keyboard and trackpad, not so good IPS display, has input lag, has a few software bugs that need fixing. 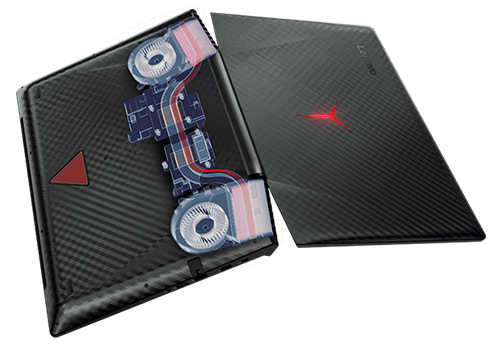 Pros: runs any game you could want with ease on ultra settings. good battery, light up keyboard. sleek design. Pros: -Well cooled with low noise. -NVME drive is super fast. 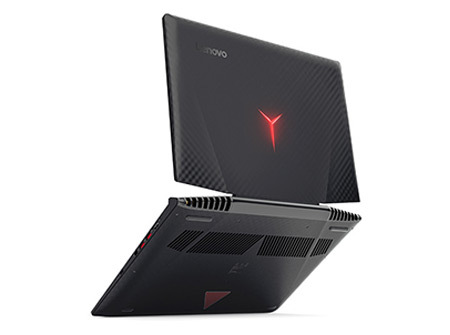 Other Thoughts: this is great laptop over all, this is a good for gaming and other work use. 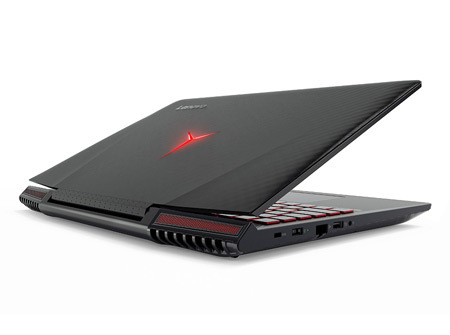 it has low noise and everything you want it in a gaming laptop to play every game at 1080p. If you don't mind the 7 pound of weight and not so color actuary screen. Pros: Works very well with all my adobe programs. Startup window lighting fast. Build in quality, color of the monitor is good. So far I love it. Cons: I didn't realize it doesn't have built in SD card reader(didn't pay attention when purchasing), I use this computer for my image, video editing and 3D animation so without a SD card reader is inconvenient.